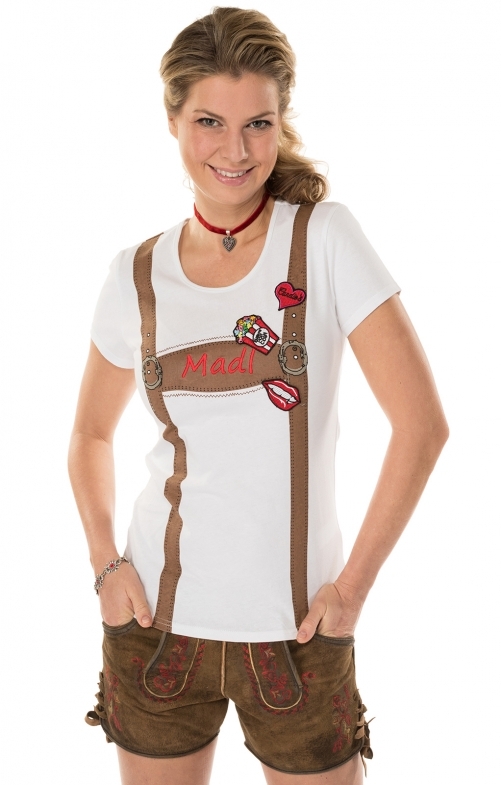 A Krüger traditional T-shirt with a cool Lederhosen print. The T-shirt offers through the cotton a comfortable fit and neat freedom of movement. The waisted cut and the "Madl" embroidery on the front underline the feminine style of the traditional shirts. The classic leather trousers are shown on both the front and on the back. The stylish T-shirt with a round neck can be perfectly combined with both leather shorts and jeans.